With a prestigious grant from the Asian Cultural Council, Hammer adjunct curator James Elaine moved to China in April 2008 to seek out emerging artists within China and throughout Asia. 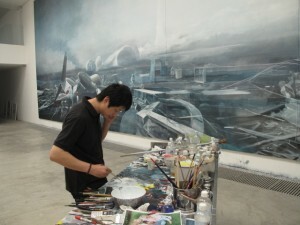 This blog provides a fascinating insight into Jamie’s travels and the art world in China. From Guangdong in the south of China to Dandong in the frigid northeast and finally back to Beijing before the end of the Spring Festival days of celebration were over. I landed in Beijing to the sounds of guess what? Fireworks! 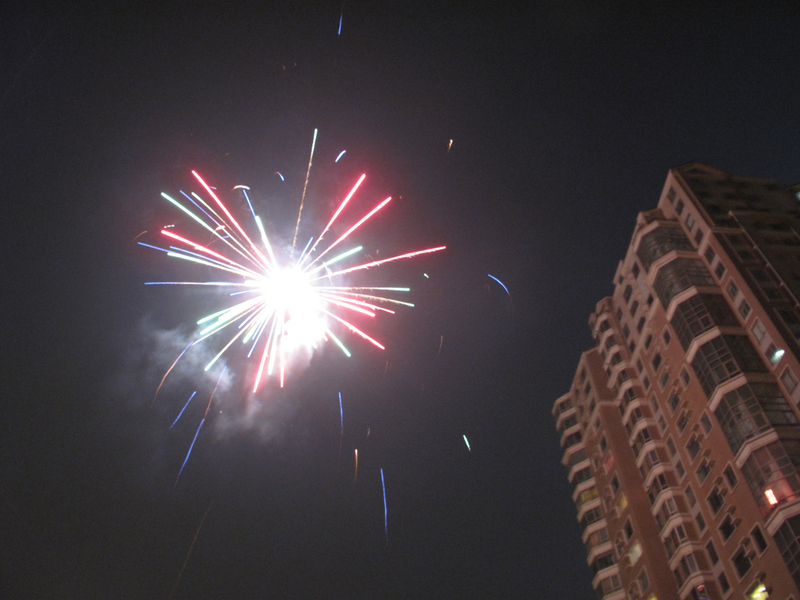 From my apartment perch on the 24th floor I could watch a 24-hour citywide display of the sounds and sights of every type of firework imaginable. After all I had seen and all the places I had been I didn’t think Beijing would be that interesting, but I was so wrong. 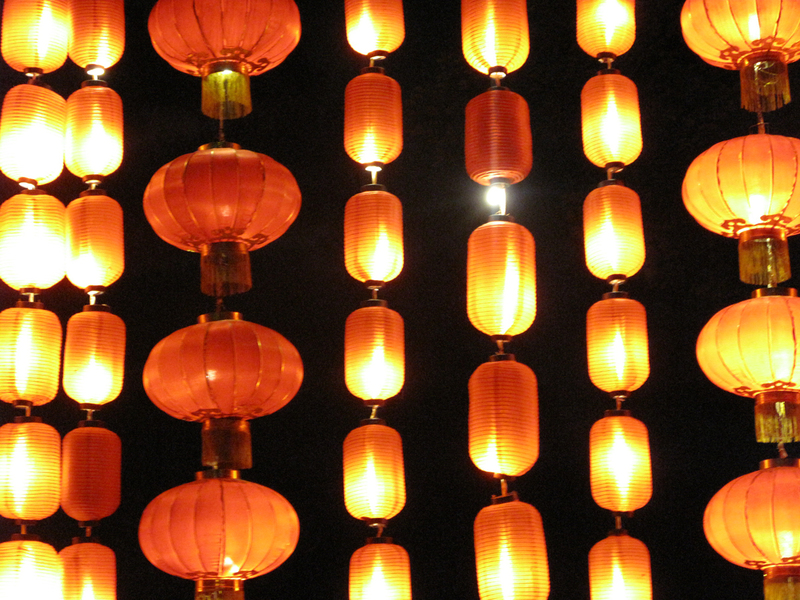 Every year on the 15th day of the first lunar month falls Yuan Xiao Jie, the Chinese Lantern Festival. This, the first night of the new year to see a full moon, Chinese have traditionally enjoyed different types of festivities such as lantern parades and competitions, hanging lanterns in the streets and homes of differing shapes and sizes, lion dances, drumming, family get-togethers, embracing your lover underneath the full moon, and eating Yuanxiao, sweet glutenous sticky rice balls filled with red bean, sesame, jujube, or peanut paste. 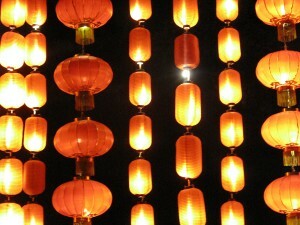 A tradition, “guessing lantern riddles,” has been passed down from the Song Dynasty (960-1279) is still observed today. 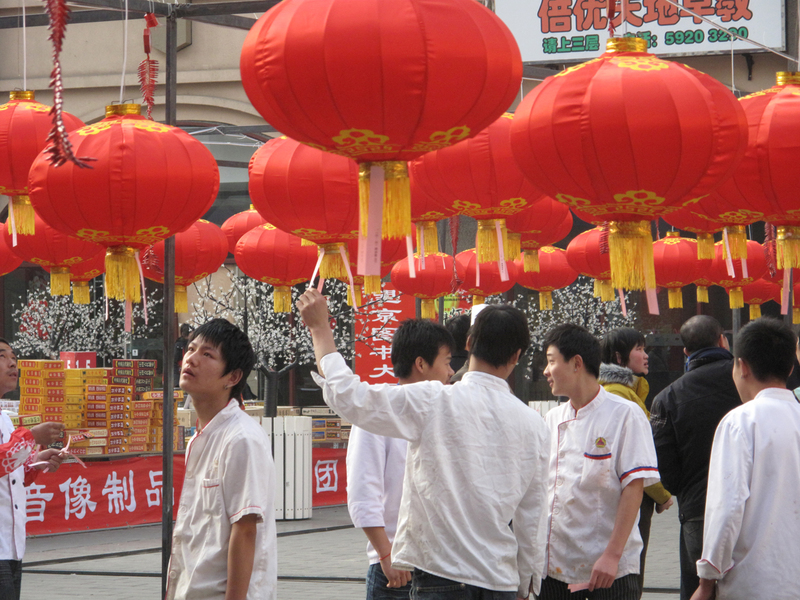 Lantern owners will write riddles and attach them to their lanterns if a passerby reads it and can solve the riddle the owner will give him or her a small gift. 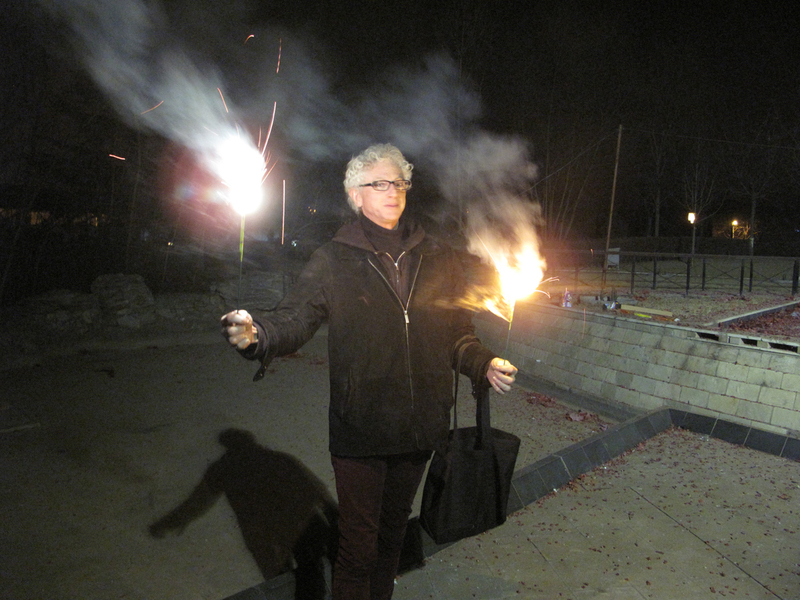 And of course there are fireworks. Jia Aili and I landed together in Beijing on Feb 3. We went from the airport to pick up his jeep then went straight to Doart Gallery to check up on his installation entitled Hibernation. 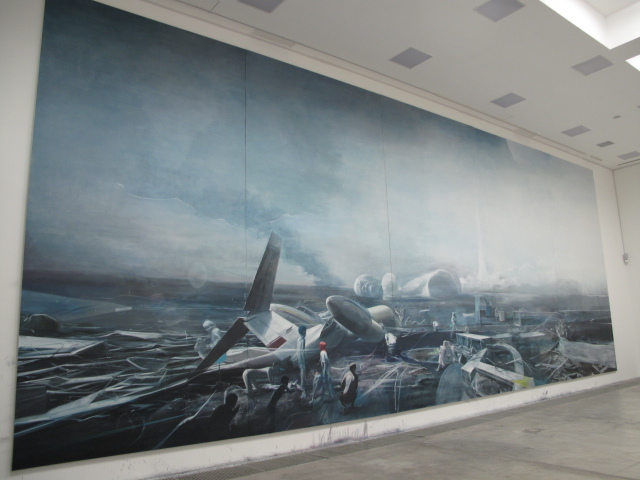 Aili had practically been living full time in the gallery since the middle of November, being a living component in his installation, as he worked on a monumental 6x12m painting, We Are from the Century. During the run of his 5 month long residency installation Aili maintained an interactive website so that viewers could keep up with his life and the progress of his painting day by day. At the time of writing this blog the website was still available to view at www.20081114.net . Jia Aili was born in 1979 in Liaoning Province and received his MA in 2004 at the Lu Xun Academy of Fine Art in Shenyang also in Liaoning Province. 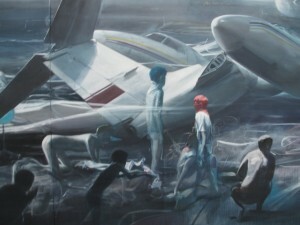 Except for shows at Platform China and Doart galleries in Beijing and the 2008 Third Guangzhou Triennial at the Guangdong Art Museum and group shows at the Shanghai Art Museum he really has not shown much but is already being touted as one of the most interesting and promising emerging Chinese artists to watch. 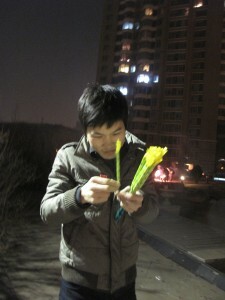 The evening of February 9th my friend Li Yun came to visit me to celebrate the Lantern Festival. 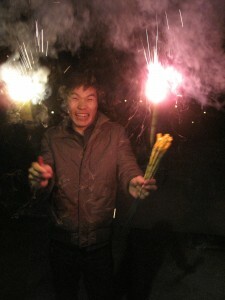 I had bought some fireworks from a stand near 798 (art district). I couldn’t resist the fabulous colors and packaging of the fireworks and the children’s and families’ mad rush to buy as many as possible and wanted to be a part of the festivities too. We met in the plaza of the apartment complex at night. There were 100’s of children running and screaming, people milling about, men setting off huge dazzling rockets that burst high above the towers, others were laying strings of red paper fireworks like long snakes across the sidewalks and grass and in the trees and lighting them on fire. Each family wanted to have the longest or the biggest or the highest display. The strings of fireworks were not timid but unraveled like firemen’s hoses meter after meter across the plaza lawns. The sky above the city was ablaze with brilliant explosions and the air was filled with the sounds of crackling fireworks. This continued non-stop deep into the night. When I went home I stood in the bay windows of my apartment and surveyed a city shrouded in smoke and adorned with sparkling embers falling from the sky. By morning light it was over, not a sound to be heard, just the lingering smoke and scent remained to remind us that the end of the 2009 Chinese New Years festivals had finally come.